Dhaka, 25 Dec, Abnews: Some 11 lakh Bangladeshi workers would go abroad with employment by the end of this year, a government source has confirmed. 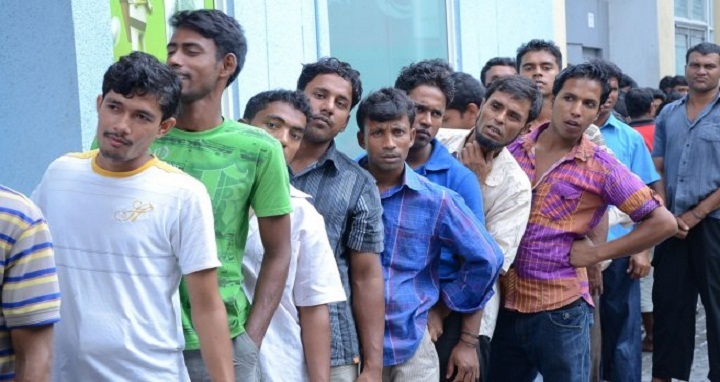 “The overseas job markets are witnessing a boom and 9,90,728 Bangladeshi workers have already gone abroad till December 21 this year,” Expatriates Welfare and Overseas Employment Minister Nurul Islam made the remark on Sunday. He also added that the government had taken strict policy as safe migration of this workers is a major concern for them. Earlier,in 2016, a total of 7,57,731 Bangladeshi workers went abroad with job.In total about 1.3 crore Bangladeshis are employed in 162 countries at present.